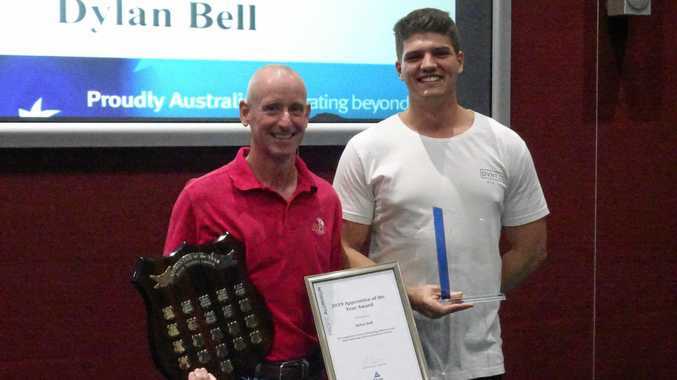 NOW-QUALIFIED electrician Dylan Bell has taken out the coveted Apprentice of the Year Award at the Boyne Smelters Limited Apprentice Awards ceremony. 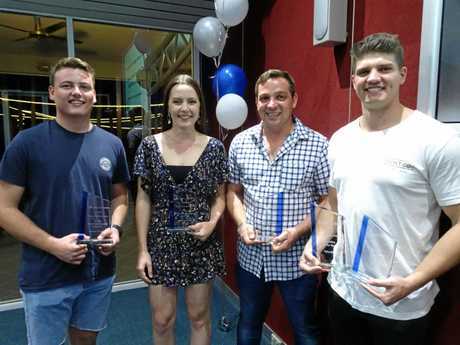 Presented on Thursday night at Kalori Conference Centre at Boyne Island, Dylan was recognised alongside three other award recipients. Awards were handed out to apprentices completing their fourth and first years at BSL to recognise hard work and dedication. BSL General Manager Joe Rea said the awards night was an important showcase of future talent. "There is no doubt in my mind that the future of Australian manufacturing is in good hands with these exceptional apprentices at BSL," he said. 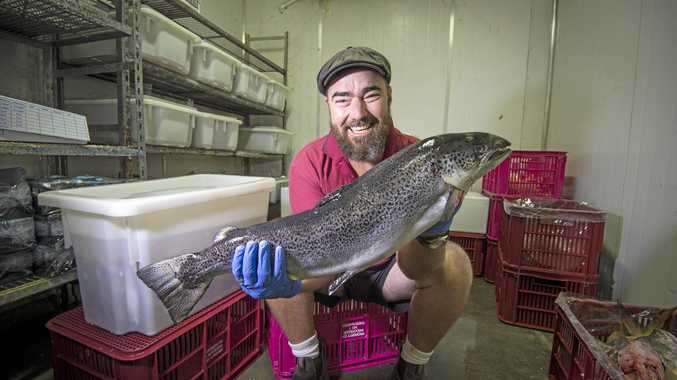 "BSL offers apprenticeships in the fields of mechanical, diesel and electrical trades and for the first time in 2019, refrigeration and air-conditioning." The award is icing on the cake for Dylan who is now working full-time in his trade at BSL. The award complements his gold medal for the electrical control category at the National World Skills competition in Sydney last June. The night was also an opportunity to congratulate those apprentices graduating from their trades. Eleven apprentices were awarded their trade papers having successfully completed their apprenticeships. Fourteen new apprentices were also introduced to the wider BSL team having started their roles in January.